Learn about Mozart’s life while playing finely-crafted arrangements of his most popular melodies. 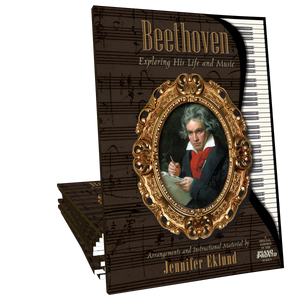 Music and materials by Piano Pronto author Jennifer Eklund. Wonderful book!!! 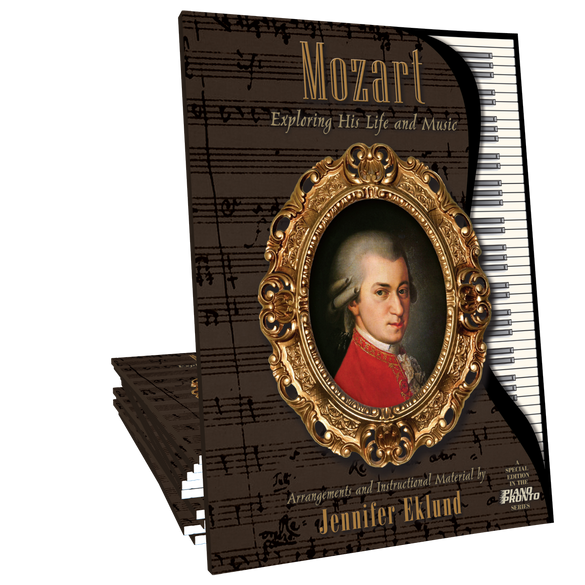 This book is filled with fantastic history information and great arrangements of Mozart's most popular pieces. This is a great teacher resource for teaching the history of Mozart to students and is also a great collection of Mozart pieces for students to learn. My middle school girl wanted something different than a method book. She likes the information about Mozart and the music. I am impressed and moved by the music, highly recommended. 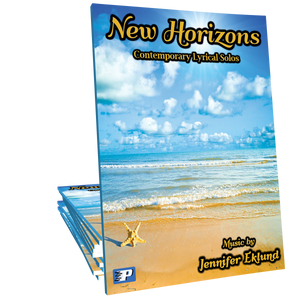 This book looks like a lot of fun with fun information to go along with the pieces. Makes the music come more alive for all of us!